Are you feeling bored in your current role? Stuck? Do you feel like it’s time to advance your career? Then it’s time to start thinking about what your next steps are. We’ve provided what we believe are 7 key steps senior professionals can take to progress their career and achieve their goals. One of the most common oversights senior professionals make is neglecting their CVs. It can be easy to forget to update your CV once you’ve been in a senior role for a while. But many people are surprised at how outdated their CV is when they start looking for a new role. Devoting the time and effort to updating your CV to ensure it’s an accurate reflection of your current abilities is key in securing new opportunities. Ultimately, your CV is often the first bit of exposure you have to a new employer. It’s your first impression, and first impressions can make or break you when it comes to new opportunities. Your CV should be optimised so that it’s concise and stands out. Optimising your CV means ensuring it’s well formatted, easy to read, concise, and value-heavy. Cherry-pick your key selling points as a candidate and make sure it’s as accessible as possible for the reader. Many senior candidates find that they haven’t been interviewed in so long that their interview skills are somewhat rusty when the time comes. As such, it’s always a good idea to practice your techniques should the opportunity arise. You should be prepared for any questions and tests that might be thrown your way, after all, your responses will be the difference between you and another candidate. Do some research into the type of interviews carried out for roles such as yours in your sector or perhaps you know a friendly recruiter who can help. There’s always time to improve yourself. Your skills are like muscles – you need to train them to make them stronger. When you don’t use them, they grow weak. You should be continually working on developing your current skills and expanding your knowledge even further. Try and pinpoint what your sector needs right now. Do you have these skills already or if not, can you learn them to help meet this need? When employers analyse you, they look at your skills to determine in what ways you can add value to their business. There’s no better time to start than now as the more time you give yourself to expand your key skillset, the more valuable you’ll be to potential employers. Remember, it’s not always about being the best at your skill, it’s about being the most valuable. Set your goals and visualise where you want to be. Where do you want to go, how are you going to get there, and when do you want to get there? Without a solid timeline, your plan to advance your career could fail. Think about what milestones you want to reach and the feasible timeline in which you could achieve your goals at each stage. Write down a timeline. Write deadlines in your calendar. Print off a goals timeline as a motivational poster that you’ll see every day as a reminder. Whatever it takes, just ensure you’re always aware of where you stand now, where you want to be, and what you can do today to get there. If you want to be noticed by the top brass in your target industry, you need to know your stuff. With the market evolving so rapidly, it’s easy to fall behind on the latest news and trends. It’s never too late to start brushing up on your knowledge of the industry. The best way to get the attention of top employers and stand out as a trailblazer is to position yourself as a thought leader. Be insightful. If you were stood in front of industry leaders, what genuinely helpful insight could you provide them with? You need to be able to add value to your target business. Knowledge and valuable insight into your sector are essential to advance your career. Networking is the single most important thing you can do when you’re looking to advance your career. Not only will it help you build a high-quality network of connections, but it will also keep you in the know about exciting new opportunities. By getting your name out there and networking with the best and brightest senior executives in your target industry, you allow yourself to get a foot in the door when it comes to contending for new roles. Attend conferences, reach out to influencers and thought leaders on social media. Put your name out there and get marketing yourself. Don’t put yourself down. Too many talented individuals downplay their own value and end up taking offers that aren’t right when they could do much better. Don’t let yourself go for opportunities that won’t propel your career forward. Do your research and set your expectations in regards to salary, position, and responsibilities. Remember that the value you place on yourself comes across to others. If you don’t truly believe in your abilities, top employers won’t either. Take some time to reflect and take pride in your strengths. Look at yourself from an outside perspective and try to understand where your value lies, then work on marketing this value to potential employers. Often this means focussing on your very best features rather than spreading yourself too thin. Anyone can say they’re great all around, but you need to be able to convey to top organisations exactly why you’re brilliant in your area of expertise. If you want to take your career to the next level, these 7 steps are a great place to start. 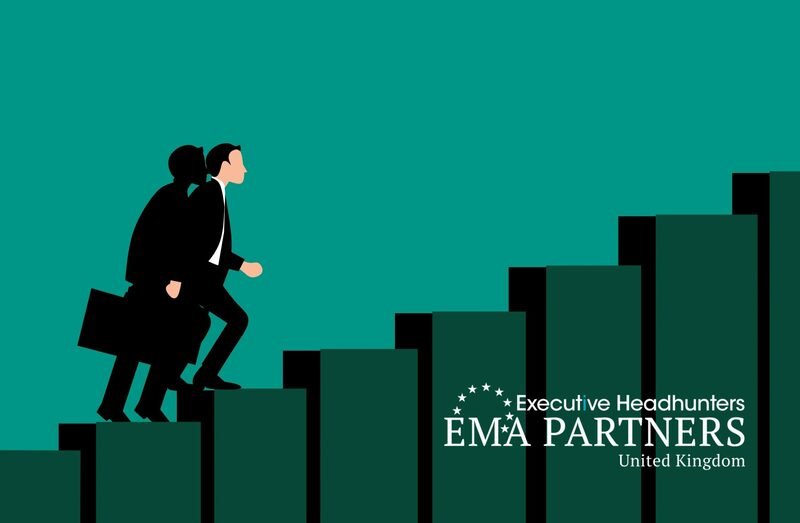 Phil Sharp, MD, Executive Headhunters EMA Partners Ltd.
Executive Headhunters EMA Partners are experts at cross-sector headhunting, sourcing top talent on a global basis from any industry time and time again.